So, I've had three beers from my 55º beer cellar this week and they have all been stellar. Of course, they were great beers to begin with, but were either too hot (alcohol), too smokey, or just not ready for consumption. Keeping beers (that are worthy) at the widely recommended 55º-60º range really seems to benefit them. 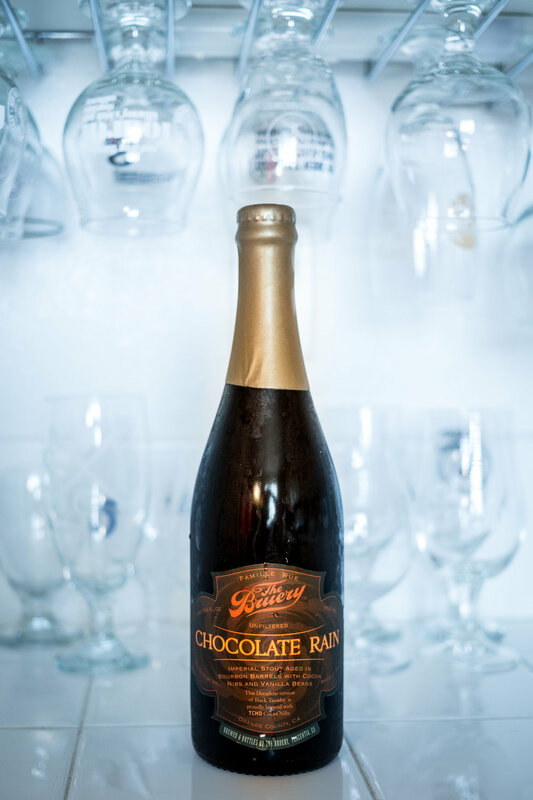 A Chocolate Rain that I just opened (pictured below) is on point. It's amazing. 2011 vintage, keep in mind. The cacao nibs are still quite present, but the alcohol heat has diminished to the point that it enhances the experience rather than destroy it. Yes, wow. The 2009 Alaskan Brewing Company Smoked Porter I opened yesterday was awesome. The beers you pick to cellar should be worthy, but the 55º temperature for cellaring really seems to be ideal, depending on the beer, of course.